Work with BCWood Alberta Agriculture and Forestry and promote Canada Wood and profile AFPA member companies at the Interzum 28 March – 1 April 2015 China Import and Export Fair Complex, Guangzhou. Share booth space with Alberta Agriculture and Forestry and host an Alberta Night at the show. Completed. Do the feature presentation on Alberta at the show seminar. Work with Guangzhou and Alberta Hong Kong trade office personnel and do site visits and follow-ups with wood manufacturing associations in the Guangdong prefecture. Completed. Mission notes presented below. Continue to discuss and plan next year’s North Asia activities in light of grant funding decreases and GOA fiscal restraint measures. Gary Mar or Ron Hoffman were not available for discussions on this trip. A copy of the mission report should be provided to the Hong Kong Trade Office. Some initial discussions on Alberta Agriculture and Forestry \AFPA\ BCWood using and sharing an office in trade office should Alberta Trade Office. Some dollars contributed for use of space and minimal office support and connectivity. Provide the Guangzhou Consulate Office with a copy of the mission report for any follow-up to the site visits in the Dongguan. A follow-up visit to Guangzhou would be prudent to meet the new expanded Alberta Trade Office in Guangzhou. If the AFPA attends the Interzum show again a full time interpreter and connectivity would improve the effectiveness of the show for the Association. Plan another mission to conduct further grading seminars with BCWood and Alberta Government. A total of 1,269 industry manufacturers and suppliers from 35 countries and regions gathered together at CIFM / Interzum Guangzhou 2015 to showcase their latest wares and meet with existing and prospective buyers. Among the 309 overseas exhibitors were participants from 8 country pavilions. This was the twelfth show. Occupying 140,000 square meters of trade floor, the event was the largest to be staged in the 11 year history. Exact visitor statistics are not available but visitor estimates are between 60 and 70 thousand. Jeff Li felt attendance was down from previous year reflecting the slowdown in the economy in China and particular Guangdong region. The success of CIFM / Interzum Guangzhou 2015 has again demonstrated the significance of this event for the entire woodworking machinery, furniture production and interior design. Industry. The show may be extended from the 5 day format in 2016 based on exhibitor and visitor feedback. Southern China is one of the biggest furniture manufacturing markets in the world, and CIFM / Interzum Guangzhou represents the only trade show in the Asia-Pacific region that can boast an international standard in terms of both visitors and exhibitors. Some 40% of China’s furniture manufacturers are located in Guangdong, where the furniture production industry is worth US$6 billion, and produces over half China’s worldwide exports. As the world’s largest manufacturer and supplier of home and office furniture, China has become an important industry hub. It regularly attracts manufacturers of machinery, suppliers of raw materials, and final producers for this lucrative industry. See Appendix B for list of visitors to BCWood pavilion. There were 140 significant visitors that exchanged cards. See Jeff Li BCWood show report in Appendix C for further observations on the show. The pavilion was excellent design and functional. Director Jeff Li has great contacts in China and his reputation drew large number of visitors to the pavilion. Majority of visitors were interested in accessing coastal and hardwood species. There were a few good leads for SPF, OSB and plywood producers. 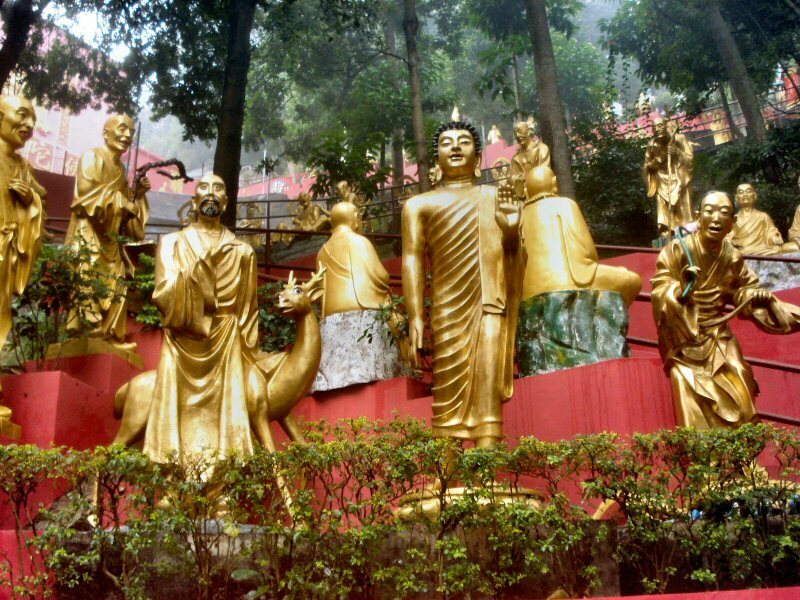 They were referred to forest companies with marketing presence in south China. The most valuable aspect of the Interzum experience was the Alberta Reception. George Pan and Dan Wilkinson provided a quick overview of Alberta Forests and Industry. This was followed by a light buffet and network reception. About 40 potential buyers, guests and trade office people attended the reception. A number of guests exchanged cards which are highlighted in yellow in Appendix B. A copy of the presentation is provided in Appendix D.
The Association is a voluntary organization that includes timber industry enterprises, government administrative and research organizations. Met with Ms. Jully-Lee and provided materials and an overview of Alberta forests and wood products. 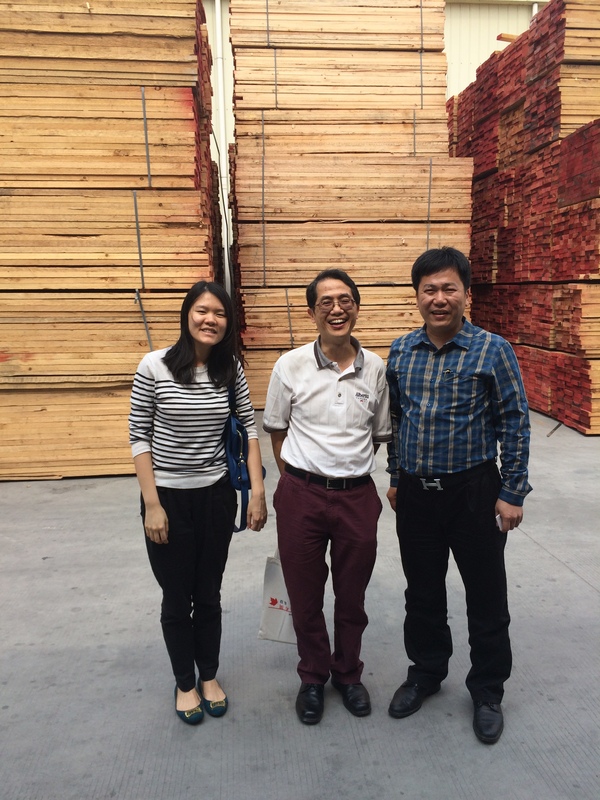 Ms. Jully-Lee took us to their wood identification lab and had some general discussions of the current market conditions. The Guangdong area is experiencing a significant slowdown in business due to Europe market volatility and policy changes introduced by the National Government. Investigation, research, collect, collate relevant national guidelines of national and prefecture level forest policy decisions, industry development and timber market information, housed in the association’s website http:. // www gdtia.com, Guangdong Yuzhu International Timber Market (http: // www .yuzhuwood.com) and “Guangdong Wood” magazine. This information is provided free of charge to members of the association free of charge. Association members may also advertise in the wood magazine. Assist members to apply and construct credit and patent applications. Represent members’ interests and requirements with various government agencies. Assist customs clearance dispute. Hold seminars on laws and regulations for timber distribution, patent development and other areas of interest to members. Promote trade fairs, exhibition investment, joint procurement activities, promoting exchanges and the development of domestic timber trade. Improve the technological level of the industry and personnel by promoting technological progress. Promote timber production, distribution, processing through new technologies, new processes, and new products. Organize joint ventures with the industry at home and abroad, study tours and other activities to promote the development of the industry. Coordination of relations industry members and non-members, consumers, and other social organizations. Timber species identification, specific gravity testing, gauging timber business. Yuzhu market is located at Huangpu District, Guangzhou Municipality on the bank of the Pearl River. The market possesses of a cargo wharf with 5000 ton capacity as well as water, rail and truck connectivity with domestic and international docks and harbors. There is an intermodal transfer site for unloading containers from trucks or loading them onto barges for transport back to ship loading facilities. There is road and subway line access to the rail stations, ferry and airport terminals in Guangzhou and Shenzhen. Market area covers 360,000 m2 with stalls and office buildings covering 200,000 m2. Twelve alleyways connect with Huangpu Avenue directly, and the stores are 10m high and 6 m wide, ideal wood business. The market is divided into plank and timber; artificial panel; log trade; veneer and moulding; wood floor: wood door direct distribution; storage center, dock handling materials logistics; and the commercial informational center. Like many major wood market companies in China, they provide complete and coordinated services to their lessees and their customers. The market management provide coordinated process services for customers such as: business certificate of wood trade; complete industry and commerce tax registration; code certificate of enterprise; register bank accounts; deputize the business licenses for import & export wood products; sale wood products by proxy; provide a loan service for businessmen in the market; timber quarantines paperwork and wood product and log transportation. 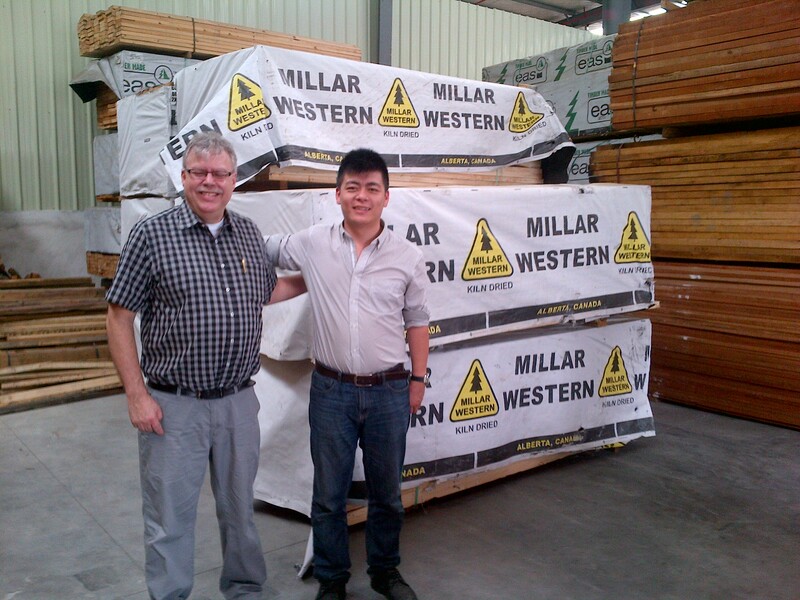 Yuzhu International Timber Market manages many kinds of top- grade wood imported from all over the world. In 2014, the trading volume of wood in the market was more than 1 million m3 worth 2.5 billion Yuan. The terminal logistics transaction fees topped 8 billion Yuan. 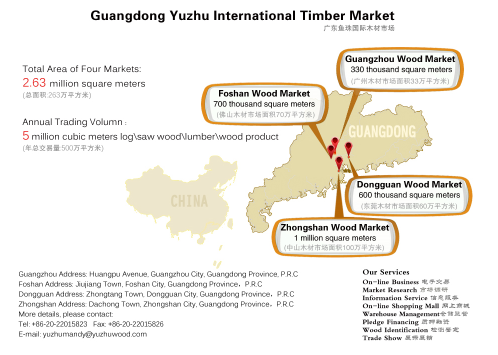 Yuzhuwood.com is the biggest e-commerce platform of Chinese timber industry and the information service platform that accesses the timber market worldwide. There are 50000 registered companies from over 100 countries. The website offers the following features: market quotation, information issue, products display & trade, global wood price. The real-time update of prices of wood and products at home and abroad, and market quotation based on the physical market. The platform provides a forum for registered sales people and purchasers to do business both on-line and off-line. Yuzhuwood also provides market intelligence data, data collection and editing services, an online shopping mall with 140,000 registered members. After meeting we walked through market and talked to some of the companies that are interested in acquiring more western Canada wood products. 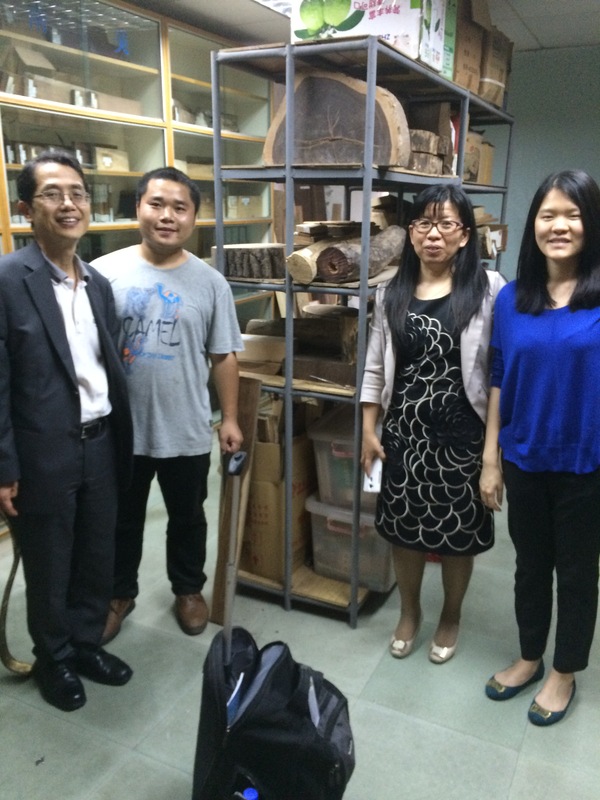 Gave an overview to Mr. Liu of Senyuan Wood Industry an overview. He thought our SPF wood was good but too expensive. SenYuan Wood Industry has decades of experience in the timber business. They are currently focused on Latin American timber such as: Red Sandalwood, South America Pear, Snakewood – Piratinera guianensis (Mulberry) , Argentina green sandalwood, red sandalwood, South America purple core hematoxylin (Mahagony), iron pigeonpea, and other high end valued hardwoods. They source their wood from legal and sustainable sources. They were curious about Alberta wood but think the species and quality is not suitable for their customers. Met with Duane Robson Counsul & Senior Trade Representative who has recently been transferred to Guangzhou. Duane last posting was in Seattle and before that two different portfolios in Tokyo. Discussions around Chinas politics and the state of the economy. Duane briefed us on plans to accommodate three new Alberta Trade Office staff that has been recently announced. Hiring is currently underway. Rita Zhou who supports the wood product mission reports to Duane. Embassy Market Report referred to during discussions is presented below. For the recent a few years, the Chinese construction sector has experienced aggressive growth, well above the country’s already-impressive GDP growth. In 2013, the sector generated approximately CNY15.9 trillion (~CAD$2.9 t) total outputs with the growth rate of 16.1% compared to 2012, accounting for 28% of national GDP Footnote 2. Total real estate investment also reached CNY 8.6 trillion (~CAD$1.59 t) during 2013, among which 68.5% was made in residential property and half of the total investments were made in East China region. Despite the sector’s robust growth in recent years, it is generally viewed that the growth would slow down to a more moderate pace in the next five years (10%~17% according to some analysts’ estimates) in light of the surging land price and tighter regulatory control. The Yangtze Delta River Delta region (comprised of the city of Shanghai, Jiangsu Province and Zhejiang Province), being one of the fastest growing economic centres in China, accounts for about 30% of all construction in China. This sector is dominated by Chinese companies. As of the third quarter of 2013, there were totally 74,432 construction companies, of which 6,843 were state–owned enterprises while western firms only serve around 1% of the marketFootnote 3 . The construction sector we refer here includes developers, builders, architectural/engineering services firms, and building material providers. Prospects for the construction sector remains to be promising given China’s immense need for greater housing supply and the rapid urbanization. Each year China is adding around 2 billion square meters of building spaces. China is already building one third of the buildings in the world and has the largest construction market in the world. 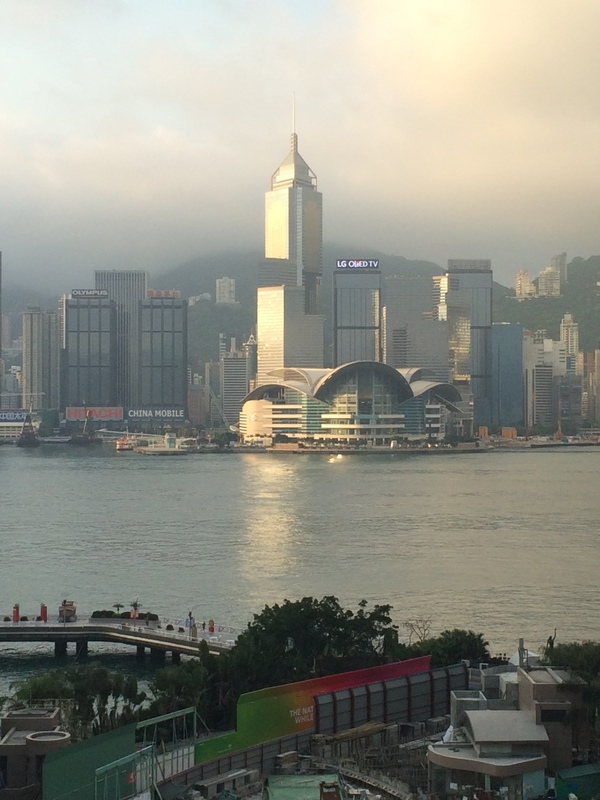 It is estimated that by 2025 more than half of the world’s buildings would be in China. The country’s rapidly expanding domestic economy and ongoing urbanization requires construction spending on infrastructure development and upgrading. The investment on urban rail transit is projected to surpass CNY 700 billion in the 12th FYP period with 170 cities requiring mass transit systems and 244 civil airports built by 2020Footnote 4. The over-heating of residential property market has been a long-time issue in China. Chinese government is taking measures to increase land supply and to suppress investment-driven speculation. There are divided views regarding the trend of China’s real estate market given the disparity between supply and demand throughout different parts of China. Nonetheless, keeping the real estate market under control is high on the government’s agenda. Since 2012, China has introduced property tax in first-tier cities and raise minimum down-payment rates to limit the purchase of secondary homes. As one of the world’s largest economies and the largest energy consumer, China now has over 40 billion square meters of buildings while only 4% of which adopt energy-saving measures. As building-related energy consumption accounts for around 40% of the country’s total energy use, the construction sector is evolving to integrate key themes such as energy-efficient and environment protection which are considered essential for China’s sustainable development. Energy and environment has been given great importance in China’s 12th Five – Year Plan (2011-2015), with the goal to construct 1 billion m2 of “green building” floor space by 2015 – up to 20% of the total floor spaces. The government also set the target that by 2020, 30% of new construction (measured by floor area) will be certificated as green buildings, according to the Ministry of Housing and Urban-Rural Development. There has been increasing popularity among leading developers to apply for LEED certification for their high-end properties. China also developed its own green building certification, the Green Building Design Label, known as the “Three Star” in which the system assigns buildings from one to three stars (the highest). The energy efficiency label is still voluntary for most residential and non-residential buildings, but the government requires certain buildings to be certificated by at least one star, especially for government-owned large public buildings. Both central and regional governments have released various energy retrofitting subsidies to incentivize the adoption of green building standards. Although the pace is slow, the prospect is promising. Architectural services, wood-frame structure, and building materials are the three main sub-sectors where Canadian companies and industry players remain active within China. Approximately 30 Canadian architecture companies have representation in the Yangtze River Delta region, ranging from one-person representative offices, to local subsidiaries with dozens of employees. Some companies operate from Canada in close partnership with Chinese companies. Over the last two decade, Canadian architects have designed 200 plus projects all over China, including numerous landmarks. Each of these was done in cooperation with local design institutes, as construction drawings must be “stamped” by licensed firms only. The lack of sophistic design expertise and international reputation fosters the partnership between Chinese design institutes and their foreign counterparts however the low design fees and weak IP protection remain to be key concerns of foreign firms. Apart from that, the licensing and qualification regime is often seen as the main obstacle for foreign architectural and engineering firms to operate efficiently in China. In coping with those challenges, finding reliable local partners and developing niche areas with fast response to a changing economy are essential for foreign players to thrive in this market. With the rapid urbanization across China, Canadian architects may find substantial opportunities in second and even third tier cities. According to official statistics (2006 to 2011), the construction “compounded annual growth rates” (CAGRs) found in many of the northeast and central provinces had consistently been higher than those of Beijing and Shanghai. Nonetheless, the first-tier cities remain as key markets for high-end Western products and services. From 2010 to 2011, the 27% growth in Canadian exports to China was in large part due to exports of wood products (wood pulp and lumber). In particular, exports of wood increased by more than 74% to almost $1.5 billion. During 2012 China became Canada’s number-two export destination country. In this period, Canada’s global exports of articles of wood increased by 10% year-over-year while exporting to China decreased by 4%. The quantity of exports to China increased slightly but this was offset by lower prices. Regardless, this was viewed by the Canadian wood industry analysts as a positive performance considering a massive slow-down in China’s construction activities in 2012. According to the International Wood Markets, despite the slower housing market in 2012, China’s total import and export trade value of forestry products still increased by 3% year-over-year, reaching $120 billion. Canada remains the largest lumber supplier to China in 2012 with a 31% market share (total softwood and hardwood)Footnote 5. The Canadian forestry industry is primarily represented in China through the Canada Wood Group and BC Forestry Innovation and Investment (FII). Canada Wood is funded by member forestry associations, provinces and the federal Canada Wood Export Program. BC FII is a Crown agency of the BC Government. These two organizations are mandated to expand the market for Canadian wood products specifically dimension lumber, which is not yet a widely-used building material in modern China. These organizations work closely to develop the market and to position wood as a cost-competitive building materials in China. Their key activities include: product promotion events and training seminars, technology transfers and technical support for wood-frame structure, academic exchanges and joint research with academics, relationship development with local governments to establish relevant building and fire codes, and showcasing demonstration projects. These efforts support the Canadian forestry companies on the ground to expand their market presence. Since 2010, BC FII and Canada Wood Group have also successfully introduced wood truss reroofing programs to Shanghai, Nanjing and Qingdao. China is one of the world’s largest producers and consumer of building materials. It remains on the top of the list in many primary building material productions including cement, flat glass, constructional ceramic and sanitary ware, stone and walling materials. The market is extremely price sensitive and competitive with many domestic and foreign players. The construction and quality standards lag behind developed countries but nevertheless there is a demand for specialized imported products which offer value and performance over domestic offerings such as energy efficient products. Chinese regulators are very risk averse when it comes to the adoption of new building materials and techniques with which they are not familiar, however the market can change dramatically due to disruptive events. Yangtze Delta region has a large number of high-rise buildings and skyscrapers, so energy shortage is always an issue. Building products such as insulation, waterproofing, windows and frames, heating and cooling system which offer significant cost advantage and adaptable for high-rises buildings are desirable. Canadian companies need to find suitable ways to access the market, through joint ventures, distributors or wholly-owned enterprises with some manufacturing capability in China. IPR issues should also be taken into account when making such a decision. In addition, as architects are often not allowed to specify products name in their drawings, the developers are the decision makers in selecting building materials and products. The conflict of interests and lack of expertise in building materials and products require building products companies to make their presence to not only architects but also developers. The majority of Chinese construction companies operate in the low value segment characterised by labour intensive, high volume and low margin activities. The lack of expertise and know-how created strong opportunities for foreign firms with advanced technology and design capacity. At the same time there are significant challenges, mainly reflected in the areas of regulation, price competition, and business practices. In many subsectors within construction, foreign companies face strong regulatory constraints, including the minimal registered capital and assets, minimum yearly turnover, and minimum permanent personnel. In addition, usually qualifications and project experiences obtained inside of China are acceptable as references. In the Chinese construction market, price often times outweigh quality and environmental consciousness. The misaligned incentive scheme caused developers to focus on lowering costs and maximizing profits instead of investing in sustainable design and energy-efficient products and solutions. As in many other sectors in China, relationships are often more important than product and service quality. Domestic companies with close ties with the government often have easier access to licenses and qualification certificates granted by authorities, and most importantly better access to tendering information. Urbanization: urbanization in China has been moving very aggressively in the recent years. In 2012, China’s urbanization rate reached 52.57% and by 2025 urban population is expected to rise to 926 million. To this end, China plans to spend CNY 40 trillion (~CAD $7.4 t) on urbanization to bolster the economy and to bring 400 million people into the cities over the next decadeFootnote 6 . Labour force shortage: decreasing supply of construction workers will drive up the requirement on labour efficiency. According to the NBS of China, the total number of employees in China has been decreasing since 2010 while the productivity is going up. The majority of Chinese workers have gotten their salary increased by 10% in recent years. This is an encouraging sign for the promotion of Canadian wood-frame housing given its much shorter period of construction time compared to concrete and steels. Demographic changes: the growing of elderly population has becoming a predominate issue in China. It is undoubtedly that China needs more senior care centers in an economical way. At the same time, China is gradually opening up the one-child policy and allowing couples to have second child. The potential demands for better, large and higher-quality houses will be fairly strong. The residential floor space per head in Chinese urban areas has doubled for the last decade and likely to rise to 41m2 by 2020Footnote 7 . Energy efficiency policies: As China seeks to reduce energy consumption per unit of GDP by 16% by 2015, more and more new residential and public buildings are required to implement energy efficiency design standards aimed at saving 65% of energy use. Shanghai was identified as one of the model cities for public building retrofitting with the ambitious target to cut energy consumption by 20% for 4 million m2 of public buildings by August 2014. Hangzhou is another city required by the central government to include low-carbon development models in their regional 12th Five-Year Plan. Those government policies coupled with growing environmental awareness become the engine to drive green building practices to grow significantly in the coming years. Biggest SPF user in Dongguan market area. He imports J-grade, 2 and Better and economy grade. He uses Canfor and Tolko SPF, Tolko OSB. Wants to source higher grade SPF from other producers in BC or Alberta. He does not like the quality of the economy grade lumber he has been getting. Suggested 2 and better a better fit for his business. He is requesting to attend the BCWood Global Buyers Forum this year. Met Mr. Ma in 2014 at the grading seminar in Dongguan. He has recently moved to the new Xing Ye Timber market from the old Houje City market. The new market affords more spacious stalls, updated logistics for product shipments and reduced taxes. Mr. Ma business is tied to his trading company in Hong Kong. The Chinese business focuses on appearance grade west coast species such as Hemlock, Douglas fir, Alder, Wester Red Cedar, Sitka Spruce Grand Fir. He also imports appearance grade wood from Austria and Finland. He is interested in appearance grade SPF but it is difficult to find sufficient volumes. Mr. Ma hosted us to lunch. Chang Nang Building Material Co., Ltd., was established in 2010. The company covers an area of over 30,000 square meters and has a large wood product inventory contained in warehouses and timber processing centers. The company is currently focused European and US pine lumber species as well as hemlock from BC. They manufacture domestic pine species as well as remanufacture lumber for specific customer needs. They act as wholesaler for the building materials market, construction companies and furniture industries. The company wants to long-term and stable strategic partnerships so as to provide sufficient raw materials for their business. They have interest in securing more appearance grade SPF from Western Canada. Company contacts were passed onto AFPA members and key timber brokers for follow-up. The photo display below shows examples of their wholesale and remanufactured products. China’s housing sales in major cities, measured by floor space, jumped 37.4 per cent in May from a year earlier, helped by government’s stimulus policies and developers’ push to clear inventories. HSBC flash PMI signals persistent weakness in economy. Chinese factory activity contracted for a third month in May and output shrank at the fastest rate in just over a year, a private survey showed, indicating persistent weakness in the world’s second-largest economy that requires increased policy support. The poor reading, which followed a raft of downbeat April data, reinforced analysts’ views that Beijing has to take bolder steps to combat a protracted slowdown, as growth threatens to drop below 7 percent for the first time since the global financial crisis. “The subdued flash PMI print suggests there is no clear sign of near-term stabilization in the economy. Risks to the outlook remain to the downside,” Barclays economist Shengzu Wang said in a research note. The preliminary HSBC/Markit Purchasing Managers’ Index (PMI) fell to 49.1 in May, below the 50-point level that separates growth in activity from a contraction on a monthly basis. Economists polled by Reuters had forecast a reading of 49.3, slightly stronger than April’s final reading 48.9. After a brief rebound in February, the index has now been back in negative territory for three consecutive months. “Softer client demand, both at home and abroad, along with further job cuts indicate that the sector may find it difficult to expand, at least in the near-term, as companies tempered production plans in line with weaker demand conditions,” said Annabel Fiddes, an economist at Markit. The latest survey showed China’s factories continue to struggle with sluggish demand at home and abroad. The sub-index on new export orders fell to a 23-month low of 46.8 in May, while overall new orders shrank for the third straight month, albeit at a slower pace. The output sub-index contracted for the first time this year, to a 13-month low of 48.4, while the employment sub-index showed manufacturers shed jobs for the 19th month in a row. The central bank is widely expected to cut interest rates further in coming months, on top of three reductions since November, and is also likely to lower banks’ reserve requirements again to reduce companies’ borrowing costs and encourage more lending. The government is stepping up fiscal spending, with a strong focus on infrastructure projects. China has approved 250 billion yuan ($40.30 billion) of railway and subway projects so far this year, the country’s top economic planner said on Monday. Julian Evans-Pritchard at Capital Economics said the PMI painted a mixed picture, with domestic demand possibly showing signs of stabilizing in response to earlier policy easing but still under pressure from a weak property market. Exports, meanwhile, have been hurt by the yuan’s rapid trade-weighted appreciation. WHEN WILL STIMULUS KICK IN? China’s economic growth slowed to a six-year-low of 7 percent in the first quarter, weighed down by the cooling property sector and softening demand, which is leaving more and more factory capacity standing idle and depressing companies’ profits. Recent data showed a further loss of momentum heading into the second quarter; with investment growth in January-April falling to it’s lowest in nearly 15 years. Most analysts have already penciled in sub-7 percent growth for the second quarter, raising the risk that the government will not meet its full-year growth target of around 7 percent. State Information Centre, a top government think-tank, has predicted second-quarter growth of 6.8 percent. But signs that the government is ratcheting up its policy support for the economy have fanned optimism that growth could bottom out in the second half, though few analysts expect a solid recovery. “We expect economic growth to gradually stabilise as the government is determined to safeguard its growth target, but policy measures are still not strong enough,” said Xu Gao, chief economist at Everbright Securities in Beijing. China’s housing sales showed signs of a turnaround in April, posting year-over-year growth for the second time since December 2013, as home buyers waded back into the market following recent policy easing measures by the central government. While sales picked up sharply, other metrics such as investment and construction starts in the all-important property sector continued to show weakness. China’s housing sales in the first four months fell 2.2% to 1.49 trillion yuan ($240.3 billion) from the same period a year earlier, marking an improvement from the 9.2% decline in the first quarter, according to the National Bureau of Statistics Wednesday. In April alone, housing sales rose 16.0% from a year earlier to 485.4 billion yuan, according to calculations by The Wall Street Journal based on the official data. “The market is turning the corner,” said Frank Chen, an executive director of property consultancy CBRE. Policy makers have been worried that a prolonged property downturn would make things worse for the Chinese economy, which grew at its slowest pace in six years in the first quarter and will likely post its worst full-year performance in more than two decades. On Sunday, the central bank cut benchmark interest rates for the third time in six months, a move that could help the emerging signs of improvement in housing demand. With the latest interest rate cut, the effective mortgage rate on loans of more than five years has dropped to 5.37% from 5.61%. Down payment requirements have already been eased for second home purchases and local governments have been rolling back some of their restrictions on home purchases. Policy makers are hoping such moves will convince people to buy a home. Alex Huang, a production engineer in Shanghai, is one such potential buyer who just might be convinced to take the plunge. “I’m looking for an apartment near my office in Minhang district, and I’m more confident in buying a place in Shanghai rather than in my hometown, where prices are still falling,” said the 28-year-old Mr. Huang. He believes housing prices are more likely to appreciate in Shanghai than in Changsha–where he was born–a city around 680 miles west of Shanghai. Average home prices in major Chinese cities are stabilizing, analysts said, and the sales momentum has picked up in cities such as Beijing, Shanghai and Shenzhen, where developers are still planning new projects. However, the situation in smaller Chinese cities remains weak, with plenty of unsold inventory. “The situation is uneven. Home prices in tier one and some tier two cities are going up, but elsewhere, prices are still weak,” said Jinsong Du, a Credit Suisse analyst. He adds that while housing sales are expected to pick up in the second quarter, especially on a year-over-year basis, the forecast for the second half is less clear. Analysts also said that they anticipate further accommodative monetary measures from Beijing given that property starts and investment in real-estate development nationwide are likely to remain sluggish for some time as developers fear overbuilding. New construction starts for residential and commercial property in the first four months fell 17.3% from a year earlier to 358 million square meters. That compares with an 18.4% decline recorded in the first quarter. After two months of decline, BC softwood lumber export volume to China in the first three months of 2015 was 1.572 million cubic meters as compared to 1.415 million cubic meters over the same period in 2014, an increase of 11%. BC softwood lumber export value over this same period was $323.69 million, an increase of 28%.